Love the webinars and the in-person workshops...webpage is helpful...doing good things! Thank you for the programs you have made available - they are making a difference! Our Wellness Team offers live educational workshops, which focus on a variety of general health and wellness topics, exercise and fitness, and diet and nutrition. 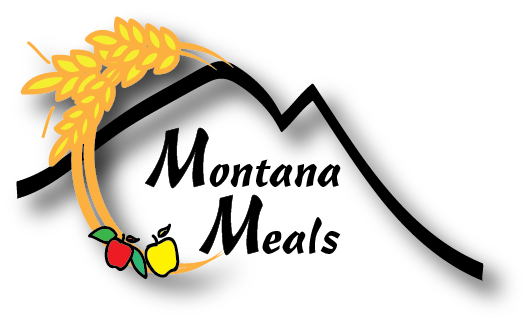 Workshops and workshop descriptions are listed below, and categorized under General Health and Wellness, Montana Moves (Exercise & Fitness), and Montana Meals (Diet & Nutrition). Workshops are taught by: Cristin Stokes, RD, LN, and Neal Andrews, MS, CSCS. For department visits, we ask that you commit at least 10 people to attend the workshop. What should I do at the gym? The following workshops deal with general health and wellness. Cool Out: Stressed out? This workshop will address strategies for dealing with stress, including relaxation and breathing techniques. Hopefully, you’ll leave feeling relaxed and refreshed. I don’t have time to go to this Workshop! We hear you! In our recent MUS Wellness survey, 70% of respondents said that “Lack of Time” was an obstacle to health goals. Well, it looks like we should focus on time-management strategies, and ways to include health into your already busy schedule. That’s what this workshop is about. Trust us, you deserve it. Setting Healthy Priorities Have you ever felt like you're constantly losing ground on all of your daily tasks? Do you ever feel so overwhelmed with work and life responsibilities that you don't know where to start? We have a workshop for you. Setting priorities in work and life can save you a ton of wasted time, energy, and stress. This workshop will focus on a practical technique that will allow you to tackle your most important challenges today, and feel good about the progress you make. We'll share some other Time Management tips as well. Tiny Steps, Big Changes: If you’re stuck in a rut, participate in this workshop to discuss small healthy strategies that can add up to big changes. We’ll discuss behavior, motivation, and “triggers” that can help you build healthy habits into your daily routine. Zz Workshop. As in, ZZZZZZZzzzzzzz. Hopefully, you might sleep through this workshop, and it won’t be due to boredom. We’ll talk about healthy sleeping patterns and habits, strategies for better sleep, and hopefully get to practice a little. The following workshops deal with exercise, fitness, and movement. Advanced Endurance Performance: Are you a weekend warrior or competitive athlete? Ready to set some new personal bests? Participate in this workshop to receive tips on training and technique that can help elevate your performance. Lots of Q and A as well. Backcountry Fitness: Hunting, skiing, backpacking and mountaineering—Montana offers a world of adventure for outdoor enthusiasts. Unfortunately, injury and even heart attacks are not uncommon for those who aren’t prepared for the rigors of the backcountry. During this workshop, we’ll talk about sport-specific exercise and training to help you be a fit hunter, skier, or backpacker, whether trekking through the backcountry or hauling a prize trophy. Basic Lifting Techniques: During this interactive workshop, MUS Wellness Exercise & Fitness Specialist Neal Andrews will teach correct lifting techniques for a few fundamental resistance training movements: the deadlift, the squat, the press, and the row. The workshop will also focus on correct core engagement and breathing technique during lifting, so that you’ll be confident and safe as you lift. Come dressed to move. Beyond Crunches: Modern Core Training: “The Core” has been a buzzword in fitness for many years. Your core includes all the muscles and structures that support the mid-section of your body, and creating a strong, healthy core is much more complicated than just doing sit-ups or crunches. In this workshop we’ll look at exercises and techniques that are beneficial, as well as some popular exercises that can actually do more harm than good. Cardio Strength Training (CST): Whether you are wanting to improve your endurance, lose weight, or add some variety into your training routine, Cardio Strength Training should be part of your program. CST is characterized by resistance training circuits that are intense and involve little rest. You will sweat. Learn strategies to build these types of circuits into your current routine. Jump Rope Clinic: It’s simple, it’s cheap, it’s portable, it’s fun, and it’s really great exercise. It’s the Jump Rope. Whether you haven’t jumped rope since grade school, or you’re a super athlete who wants to learn some new tricks, join this clinic to learn everything you ever wanted to know about how to use this classic piece of fitness equipment. Move Better: Our health and fitness can be limited if our bodies aren’t moving well. This workshop will focus on mobility and flexibility through static and dynamic stretching, and self-myofascial release (SMR; i.e. foam rolling). Move your Body: Your body is the greatest machine ever designed! Learn how to use just your body weight to build fitness. No equipment necessary! This workshop will teach basic body weight exercises and movements you can utilize anytime, anywhere: at home, in the office, or on the road. Recess: Play. Remember that feeling of running wild as a kid? Not wanting the bell to ring to go back inside during recess? Exercise and fitness are based in play, and we don't need to forget that just because we've all become responsible grown-ups. During this workshop, we'll do some fun, movement-based games. You'll be having too much fun to notice that you've exercised, and we'll send you back to the office with a little less stress! Come dressed ready to play and move. SMR/Foam Rolling: Self Myofascial Release (SMR) is a therapeutic modality involving the use of an implement, often a foam roller, hard ball or other piece of equipment, to massage and release tension from muscles and connective tissues. SMR is most often used to increase mobility and circulation, and reduce pain. Attend this workshop to learn foam rolling and other SMR techniques that you can use daily in order to feel better. The Dynamic WarmUp: A proper warmup is an essential part of any exercise program. The warmup portion of our exercise sessions prepares our bodies and minds for movement, optimizes performance, and reduces risk of injury. As a bonus, we can do things like increase our mobility, and burn a significant amount of calories, even before we begin our normal exercise routine. During this 30-minute “hands-on” workshop, Exercise Specialist Neal Andrews will lead the group through a dynamic warmup focusing on mobility, movement prep, and raising your heart rate. Training with Dumbbells: The Dumbbell. It’s one of the most common, and most versatile pieces of free weight equipment, and you can get a great workout with a pair. Attend this workshop to learn some basic and more advanced movements with dumbbells that you can utilize at home or at the gym. Please dress to move. Training for Skiing (Fall Only): We all know that skiing is fun, and it’s also fantastic for our health. Whether you prefer downhill, backcountry, or cross-country, there are many strength and conditioning exercises that can help you have your best season ever on the slopes or trails. During this workshop, participants will learn sport-specific exercises to incorporate into an exercise program in preparation for an outstanding ski season! Training for Hiking (Spring/Summer Only): One of the best things about living in Montana is our access to mile after mile of some of the best trails in the world. Don’t let your fitness limit where your hiking boots can take you this summer—join this workshop to learn how to build an exercise program to prep you for great summer adventures on the trails. Two feet and a Heartbeat: This workshop will focus on walking, hiking, and running. Whatever you do, whatever your pace, in this interactive workshop we’ll discuss strategies about how to take your bipedal exercise to the next level. We’ll also talk about training, progression, minimizing injuries, and have a lot of Q and A. Wanting to create a meet-up group on your campus? We can help with that as well. What should I do at the gym? : Do you ever feel intimidated, lost, or unsure of what to do at the gym? Do you wonder how many sets and reps to do? Or which exercises to choose? This practical, lecture-style workshop will offer general guidelines of basic resistance training, including plenty of room for Q & A. Winter ADLs (Activities of Daily Living): Montanans are tough—we have to be to survive. This workshop will focus on three ADLs that are common in the winter: Snow shoveling, Wood chopping, and lifting. Each one of these “functional movements” involve proper technique—perform them correctly, and you’re not only working more efficiently but actually getting great exercise; perform them incorrectly, and you could have a back or shoulder injury in your future. This workshop will focus on correct techniques for these activities, and some supplemental exercises for each. The following workshops deal with diet and nutrition. Dining Out Decoded: Eating healthily at restaurants can be a huge challenge, particularly if you’re watching your weight, cholesterol, or blood pressure. In this workshop, we’ll discuss strategies for keeping calories and sodium in check while still enjoying the dining out experience. We will also provide tips for eating healthfully while on the road. Finally, we’ll review local area restaurant menus so you can feel confident in your choices the next time you have dinner out! Eating for your Heart: Heart disease is the #1 killer in the United States. Learn what you can do from a dietary standpoint to improve your cholesterol numbers & keep your heart healthy. We’ll discuss different types of dietary fats, the best foods to include in your diet, and easy switches to make your diet heart-healthier. Fermented Food & Probiotics—Building a beautiful Biome: Not all bacteria is bad for us! Fermented and cultured foods such as yogurt, kefir, kim-chi, sauerkraut, kombucha, and miso are teeming with live & active cultures-- bacteria that are actually beneficial to our health! Discover the process and equipment needed to make some of these foods at home, and how to incorporate more of these foods into your diet for a healthy, happy, and balanced microbiome. Taste samples included. Healthy Weight Basics: With so many fad diets and misinformation in the media and online, it can be difficult to determine the safest and most effective way to manage your weight through nutrition. This workshop will cover the basic concepts of achieving healthy weight loss, along with strategies for making it happen. Kale Yeah! Cooking with Greens! : Dark leafy greens are some of the most nutrient-dense food you can eat! Join this workshop to learn how to include more health-promoting greens in your diet. Recipes and taste-samples will be included! Kitchen Knife Skills: Learn the safest, most efficient methods of using knives in the kitchen. This is a hands-on workshop, so come ready to chop some veggies. The Language of Nutrition Labels: What do terms such as “all-natural”, “reduced”, “good source of…” actually mean? Learn how to read and interpret a nutrition label, and look past marketing techniques to discover the meaning of common nutrition claims and make the healthiest food choices. Meal Planning Made Easy: Do you ever get home from work, exhausted from your day, and then struggle to find something in your kitchen for dinner? Do you often have to resort to take-out or fast food because you didn’t plan anything in advance? In this workshop, we’ll discuss strategies for simple, healthy meal planning, keeping in mind factors such as time and budget. Sports and Exercise Nutrition: Whether you are just starting to exercise, or you’ve been training for years, it’s important to consider nutrition to see best results. This workshop will cover the proper balance and best sources of carbohydrates, protein, and fat to fuel your workout and optimize muscle growth and repair. A list of effective and tasty pre- and post-exercise snacks will be provided. Under Pressure—Return of the Pressure Cooker: Early versions of pressure cookers earned a reputation for being dangerous and unpredictable. Pressure cookers now, however, are very safe & easy to use. During this workshop, you’ll learn about the fundamentals of pressure cooking, and find out how to prepare delicious dishes in a flash using this useful piece of kitchen equipment; saving time, energy, and nutrients! Taste samples included. Vegetarian Eating: In this workshop, you’ll learn about the benefits of a plant-based diet, how to get started, and the basics of vegetarian meal planning to ensure nutritional needs are met. Recipes and tips included! Whole Grain Goodness: Amaranth, quinoa, and millet, oh my! If your whole-grain food choices are limited to wheat bread and brown rice, this class is for you. Come discover some less common (but still delicious!) whole grains that are easy to cook and incorporate into meals, and learn about the benefits of whole grains. Taste samples included.